Pearl had her ballet exam at the Royal Academy of Dance in Battersea this week, and in half term had a workshop at the Royal Ballet School in Covent Garden, so we’ve been dance mad lately. I took this picture of her in the RAD changing room. 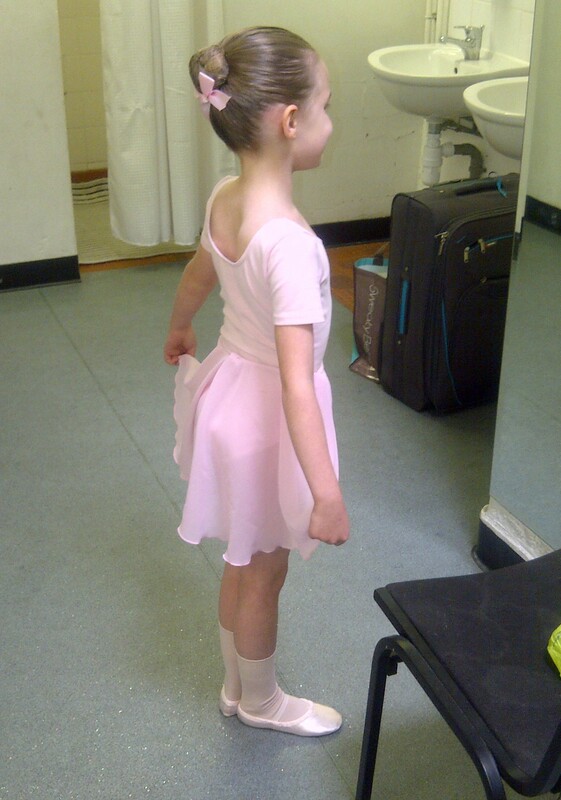 Her ballet teacher had just done her hair (redoing my poor attempt #mumfail) and she was practicing first position in the mirror. I love it as she is posing, but completely unaware I’m taking her picture. All the exam preparation in the last few weeks inspired me to make a ballet themed Pinterest board, (hands up – I am slightly obsessed) ballerinas are such beautiful subject matter and create such stunning imagery. The dreamy style of photography captures the mood perfectly and I love the work of Degas too. My favourite though is the little girl at the barre. Tags: ballet, ballet exams, family, parenting, pinterest, royal academy of dance, Royal ballet school. Bookmark the permalink.